Pillows, Curtains, and Shades Step by Step has 25 easy projects to elevate your home decor without the expensive price tag. Sew curtains, make Roman blinds, design bed runners, and more. You'll learn how to make everything from professional curtains and cushion covers to seating, bedding, and blinds with guided step-by-step instructions and clear photography. 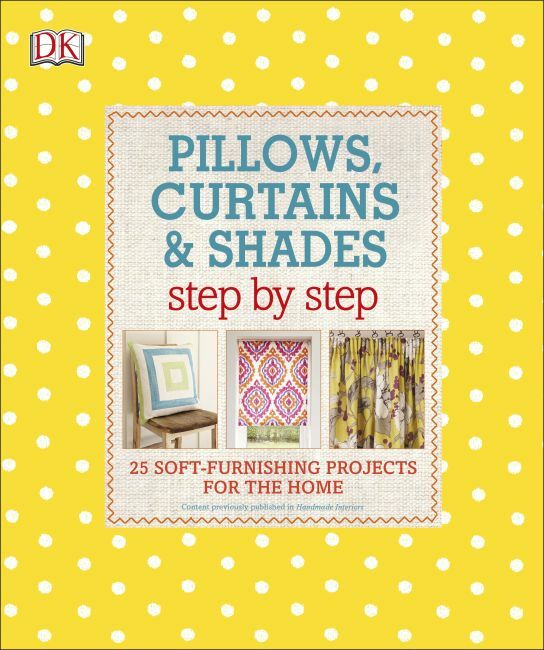 Filled with hints and tips from the experts, Pillows, Curtains, and Shades Step by Step covers all the skills and techniques needed to finish each project. With Pillows, Curtains, and Shades Step by Step, you will have everything you need to know to design and redecorate your home, step by step.